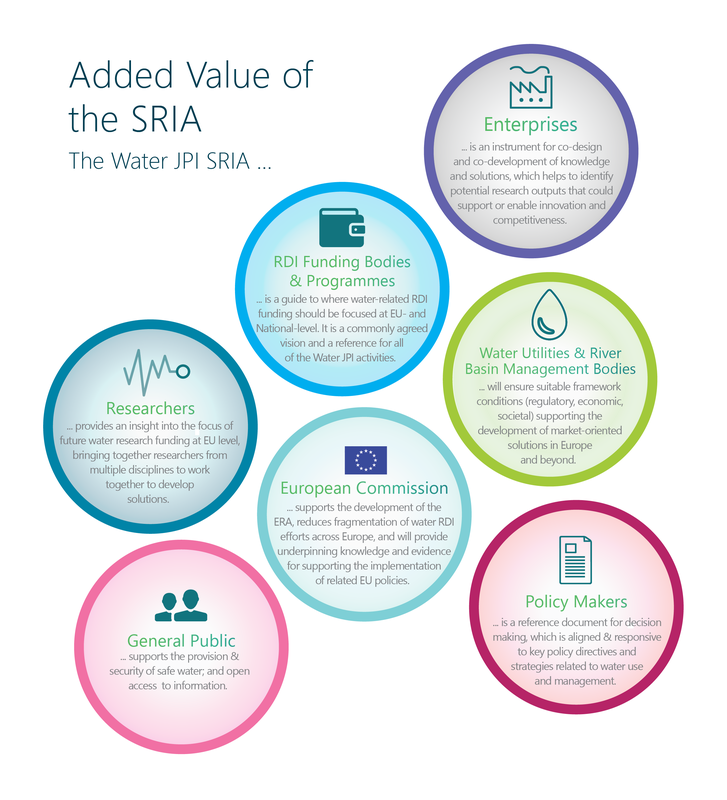 The purpose of the SRIA is to lay down guiding principles and identify research priorities for the future, while making them openly accessible to the various stakeholder groups including policy makers, regulatory agencies, researchers, end users (such as water enterprises and water utilities & river basin management bodies) and the public. The SRIA 2.0 has been conceived and generated to guide future water-related RDI actions in Europe, including, but not only limited to, the Water JPI actions. To this end, it sets out specific RDI priorities and actions and identifies areas where RDI actions are required (needs/gaps). 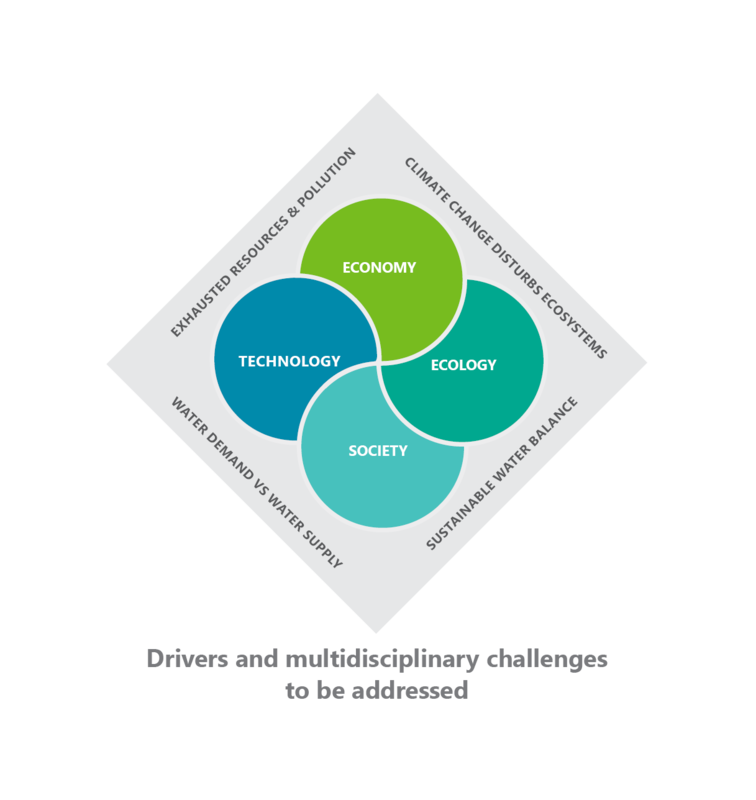 The Water JPI covers the full range of RDI including the broad range of activities from academic research to innovation, contributing to the 2020 vision for the ERA. An Implementation Plan specifies which of the needs, identified in the SRIA, will be instigated via the Water JPI activities (e.g. calls, strategic and exploratory workshops, knowledge hubs, and alignment of national programmes). strong levels of communication and coordination amongst the many competent decision-making authorities, end users and experts in the field. The SRIA 2.0 was conceived to guide future water-related RDI measures in Europe, including, but not solely limited to, the Water JPI actions from the Implementation Plan. To this end, it sets out specific RDI priorities or areas where RDI measures are highly recommended. The Introduction to the SRIA 2.0 is an introduction for the various stakeholders of the Water JPI providing an overview of “What is the SRIA?”, “How to use the SRIA” and “Why is the SRIA needed?“. The Water JPI is currently updating the Vision 2030 and Strategic Research and Innovation Agenda 3.0. As part of the public consultation process, your feedback is important to us because it will help to inform our new Vision 2030 and SRIA 3.0. By completing the online survey, you will ensure both of the revised documents are relevant and robust. Have your say on Water for the future! Complete the online survey - closing 22nd February 2019 here.